Trying to choose between a credit union and a bank? We’ve rounded up some key benefits credit unions offer to show you the value they can provide to members. If you ’re in the market for a loan, credit card or new bank account, you may be wondering if you should select a bank or credit union. Since both entities offer comparable financial products to consumers, you might even be wondering what the difference is between a bank a credit union. The answer to this question lies in the legal structure. Major banks are for-profit institutions with one objective in mind: maximizing profit. Simply put, their goal is to rake in as much dough as possible to boost profitability and fatten the wallets of shareholders. 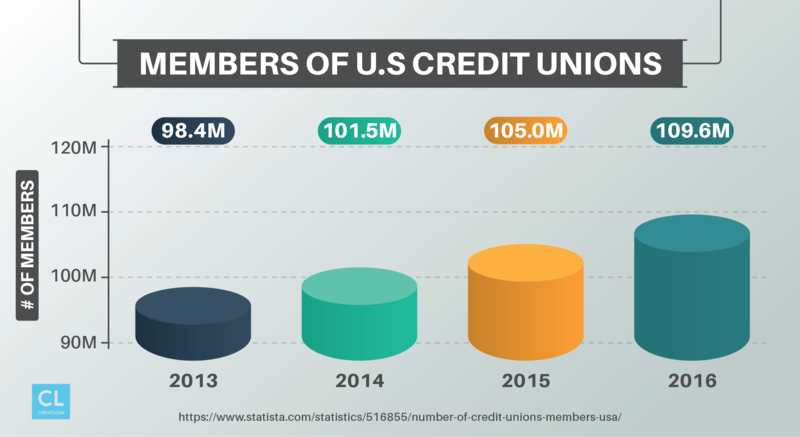 By contrast, credit unions are not-for-profit organizations that focus on serving members. Since there's no pressure to maximize profit, credit unions can take a keen, but objective interest in meeting the financial needs of the consumer. Members are also afforded the opportunity to cast their vote in elections for official positions and the board of directors. Want to learn more? Keep reading to see how selecting a credit union over a big bank can benefit your finances. Overhead costs incurred by credit unions are substantially lower those of big banks because there's no commercial ax to grind. As a result, cost-savings are passed on to consumers through competitively priced loan products. Even if your credit score is borderline. You're not just another potential debtor to a credit union; you're a valued member and they'll go the extra mile to earn your business. If you have less than perfect credit or a unique employment situation, your options may be severely limited at a big bank. Reasoning: loan products are in high-demand, and most major financial institutions use cutting-edge technology to weed out riskier applicants that fail to meet the minimum criteria. But in some instances, big banks will bend the rules only after you've patronized their services for an extended period of time. But it isn't necessary to court the credit union for months or even years before they consider your application. Most will have flexible debt products available that are tailored to meet the needs of consumers with poor credit or who are self-employed. The days of free checking accounts for the everyday consumer are long gone. If you bank at a major brick-and-mortar financial institution, chances are you're paying a monthly maintenance fee unless you're a student or meet specific spending and balance thresholds each month. It's how big banks make their money. Another major source of revenue for big banks is the array of hidden costs, including fees for paper statements, that plague consumers who fail to read the fine print or have poor spending habits. Fortunately, you can bypass these wallet leeches when dealing with credit unions. Many still offer free checking and savings accounts with minimal fees and low balance requirements. Each month your funds sit in a CD, checking or savings account at a big bank, you're actually losing money, thanks to inflation. While the rates of return at credit unions aren't all that impressive either, they beat the percentages found at traditional banks. Many argue against credit unions due to the limited accessibility of their branches. However, being a credit union members grants you access to a nationwide network of ATMs, free of charge. And some credit unions reimburse their members for fees incurred at out-of-network ATM machines. Credit unions pride themselves on exceeding the needs of their members, so you should receive a stellar level of service each visit. There are always bad apples in every bunch, but the general consensus is that credit union staff treat you like a human being, not just another number that can be used to turn a profit. This is another area where credit unions once struggled to compete. But in recent years, several credit unions have rolled out user-friendly websites, mobile apps and online banking platforms that rival those of big banks. The Federal Deposit Insurance Corporation (FDIC) insures any deposit, up to $250,000, made at big banks. FDIC coverage doesn't extend to credit unions, but the National Credit Union Administration (NCUA) offers its own form of protection to credit union members through the National Credit Union Share Insurance Fund (NCUSIF). This fund is backed by the federal government and insures deposits, up to $250,000, made at all federal and most state-chartered credit unions. To confirm the coverage details, inquire at the local branch of the credit union you are considering. Membership at credit unions generally isn't open to the public. To join, you must meet certain criteria or be affiliated with a particular employer, group or organization. Some credit unions also welcome immediate family members of existing account holders with open arms. You can locate a comprehensive listing of credit unions by state using the online directory found on MyCreditUnion.gov. Opening deposit: This amount should be between $5 and $25, according to MyCreditUnion.gov. Convenience: Is the nearest branch located within close proximity of your home or place of employment? 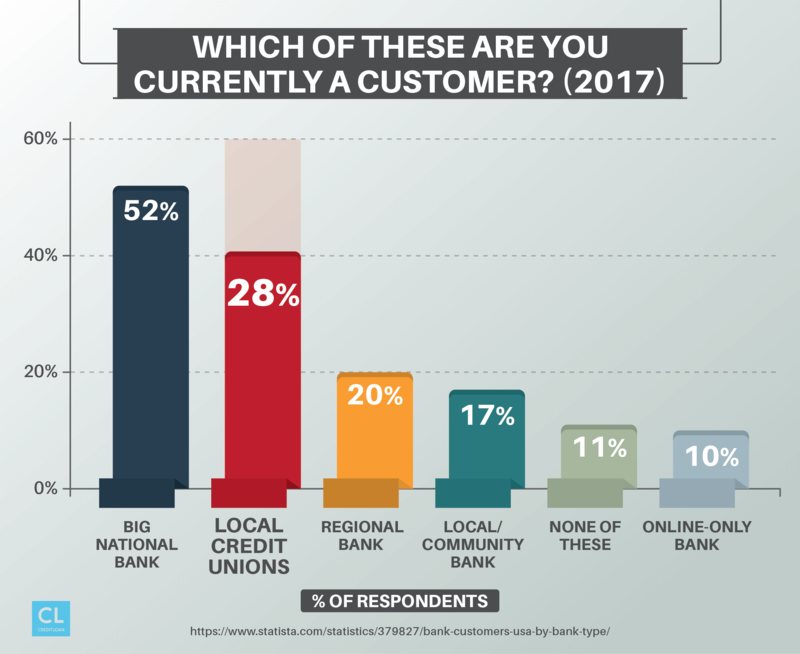 Products: Most credit unions offer the same financial products as big banks, but some are private and operate on a significantly smaller scale. Rate of Return: The higher the rate of return, the better. Community Involvement: Do the staff really seem to have the best interests of the members at heart or are they operating similar to a for-profit financial institution? You may have to schedule appointments at each of the branches to answer these questions, but doing so will ensure you select the credit union that best suits your financial needs. Are you affiliated with a credit union? If so, do you prefer their services over big banks?